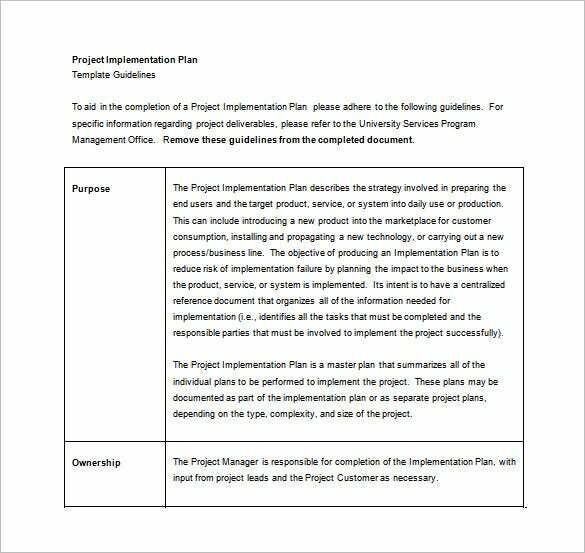 uservices.umn.edu | Before implementing your project it is advisable to have a plan. Launching or implementing a service or product requires a good plan so as to minimize failures and risks. 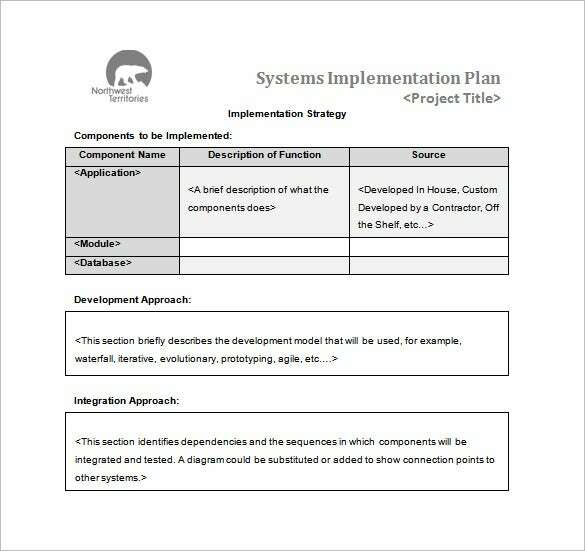 This Word template is designed to help you summarize all the steps required and what everyone involved should do for the full operation of the project. 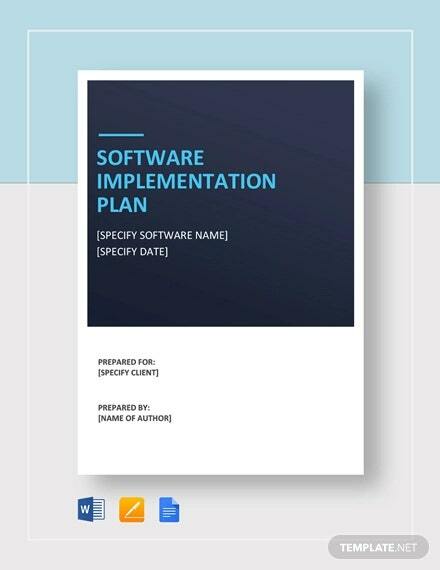 eestats.cpuc.ca.gov | If you want your program to be efficiently implemented with all aspects covered then you need a professionally designed program implementation plan template that is ready to be filled and used. 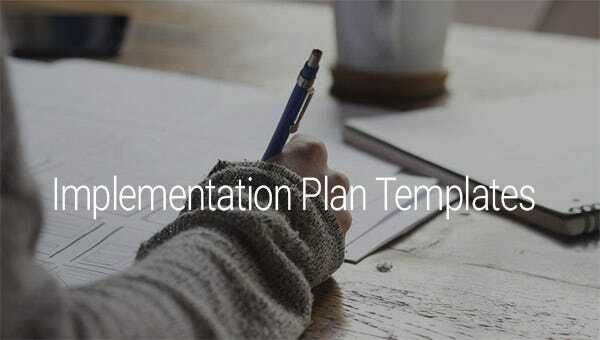 We have just the right template for you in PDF format, simply download and make your implementation plan smooth all the way. 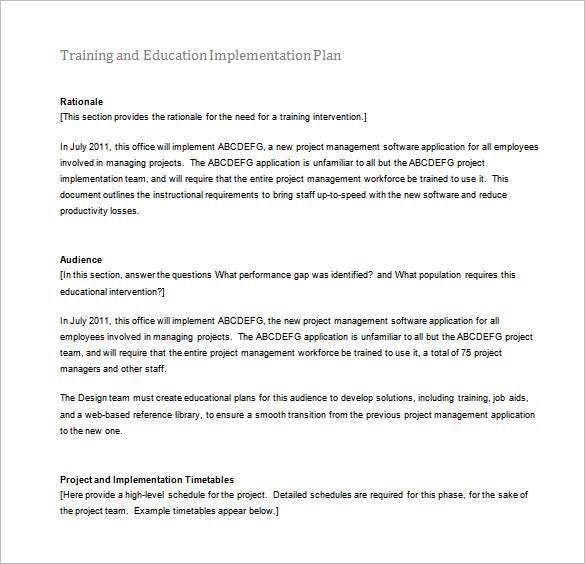 nessie.uihr.uillinois.edu | In order to conduct a professional training in any sector or subject, a good planning is required. Our Word template is designed to help you with this. It is divided into sections like the rationale for the training and the target audience. You just need to download and fill it. pacwrc.pitt.edu | After conducting a safety assessment, the findings and recommendations needs to be implemented. 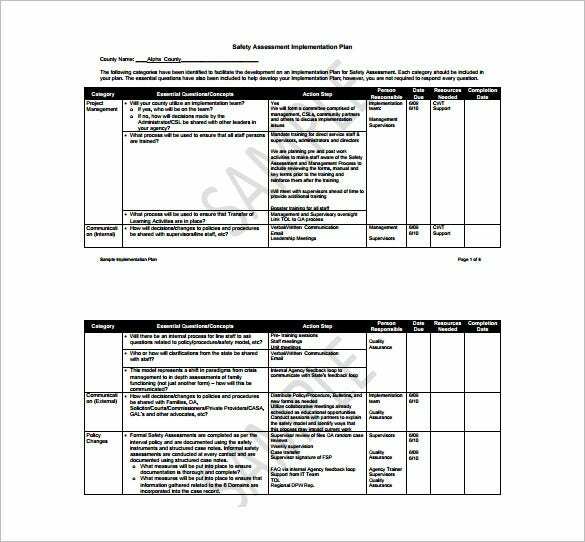 In order to do this, a template is required to plan this out and allocate duties to specific personnel. 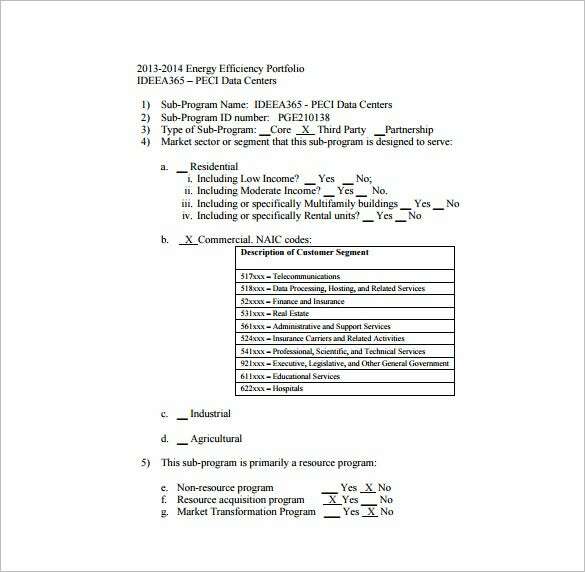 This PDF template has the right layout to make your work very easy and appear professional in the final document made out to the concerned parties. childfinanceinternational.org | A nationwide organization or a multinational may need to implement a project in one of the countries it operates in. This requires a well thought out and properly planned implementation plan. 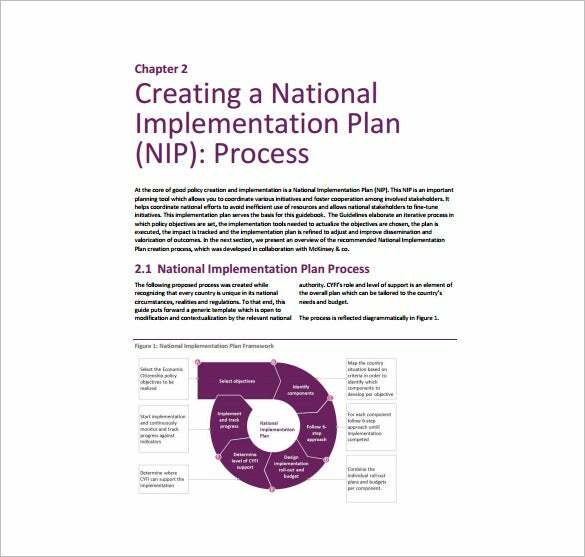 Download our national implementation plan template in PDF today and make your planning work simple. This template will also give you a professional outlook. mn.gov | Every business wants their IT products to be accessible to the most number of people in the market. 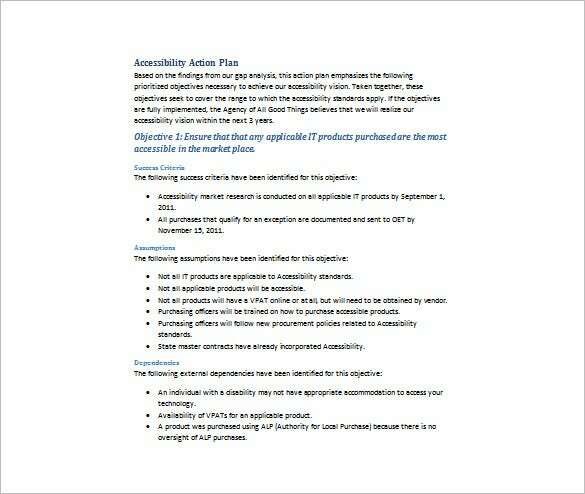 This calls for making a plan for accessibility of the product or service. 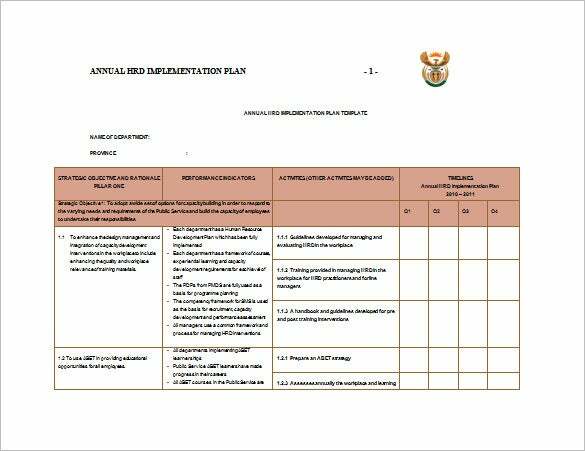 A good implementation plan will do this as it outlines the process and path to be followed. Use our professionally designed Word templates for this purpose.